Back in May, the company delivered impressive high-grade gold results from the underexplored project in the state’s Goldfields region. 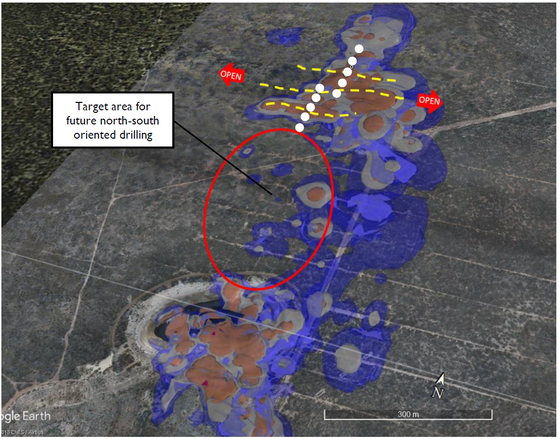 The ASX junior encountered thick, high grade zones of mineralisation at each of the drill targets which remained open along strike, and came with high priority zones requiring urgent follow up. After kicking off this most recent round of exploration in June — involving RC drilling at the Kat Gap, Lady Magdalene, Van Uden West, and Lady Lila deposits — assay results are now in for Kat Gap and Lady Magdalene. In short, CLZ identified further high grade zones of mineralisation at each of the drill targets: again these remain open along strike, with further high priority zones to be examined. Results from drilling at Kat Gap confirmed the discovery of a significant new zone of gold mineralisation within the granite which was previously thought to be barren. Over at the Lady Magdalene deposit, drilling yielded impressive results that further confirm the existence of high-grade, cross-cutting gold lodes previously missed due to the wide spaced drilling. Add to that some intriguing lithium pegmatites at Kat Gap, and there becomes a strong case for taking a stake in this small cap. As CLZ targets the discovery of new high grade gold deposits across the eleven tenements at the Forrestania Gold Project, it has partnered with an unlikely ally: Australia’s preeminent scientific leader, CSIRO. 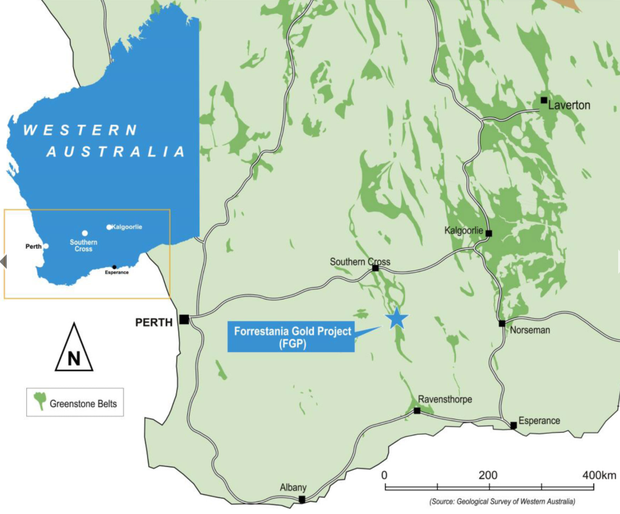 Just a week ago, the duo agreed to undertake a six-month study examining the potential link between tree size and gold mineralisation at Forrestania. This deal with Australia’s national science agency comes after CLZ realised that its major deposits and prospects are all (or were) covered by large gum trees, compared to the barren areas that were covered by typical Yilgarn-region shrubs and bushes. To assist in more rapid, non-ground disturbing exploration and target generation, CLZ hope the research agreement with CSIRO will confirm the relationship between the distribution of tree size in Forrestania, the landscape, the geology and the mineralisation at depth. To Classic’s credit, the CSIRO research project will be 90% funded by CSIRO and won’t adversely impact any ongoing drilling/exploration works. All this comes at a time when global prices for the precious metal could be looking up. Heightened political instability, combined with rising concerns around financial and economic stability could very well see increased demand for the safe haven of gold — right at a time when $9 million capped CLZ is ticking all the boxes. Since we last updated you on CLZ on May 15 with the article, CLZ Uncovers High Grade Gold at Forrestania, the junior explorer has been digging in and firming up high grade gold deposits at its Forrestania Project. The Western Australian project, located in the state’s famed Goldfields region, comprises eleven tenements stretching across 500 sq. kilometres. Strategically located in this highly prospective region, the project is an underexplored package surrounded by multimillion ounce gold deposits such as Bounty (2Moz) and Yilgarn Star (1.5Moz). While gold is the company’s primary focus — having an existing JORC Mineral Resource of 5.3 Mt at 1.39 g/t for 240,000 ounces — the project also hosts lithium-bearing pegmatites, the potential of which CLZ is also investigating. CLZ has an 80% interest in the gold rights of the project (excluding Lady Lila and Kat Gap of which CLZ holds 100%), while Hannans Limited (ASX:HNR) holds the remaining 20% interest. Additionally, CLZ owns a 100% interest in non-gold rights on the Kat Gap and Lady Lila Tenements, including nickel, lithium and other metals. 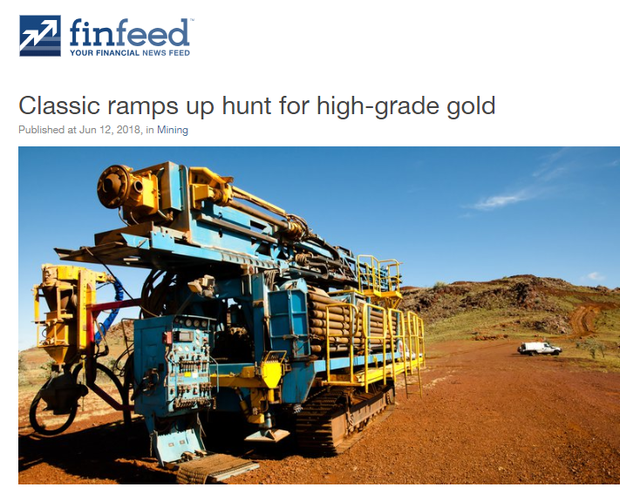 CLZ kicked off drilling at Forrestania back in June, as reported in the article below from Finfeed.com (Finfeed is a related entity of S3 Consortium). The total program consists of 3000m of RC drilling across the Kat Gap, Lady Magdalene, Van Uden West and Lady Lila deposits — following encouraging results seen from its earlier drilling program at these areas. Drilling at Lady Lila and Van Uden West is ongoing so you can expect more positive results from those campaigns in the near term. CLZ returned to Lady Magdalene where it targeted high-grade cross-cutting lodes, aiming to locate high-grade mineralisation that’s been missed by previous explorers. Notably, this drilling program, along with all associated assays and additional technical work, has cost less than A$150,000. This is all part of CLZ’s new approach to exploration planning and spending at Forrestania where the company is carefully planning all exploration activities and keeping a tight control on costs. The plan is to ensure shareholder funds are wisely spent and value is delivered. CLZ today reported that assay results have been received from its recent RC drilling program at Forrestania. The goal of the drill program was to improve/increase the known mineralisation at the Lady Magdalene and Kat Gap prospects. CEO Dean Goodwin’s comments that these are “fantastic results for Classic and its shareholders”, suggest the program was a success. This round of drilling involved CLZ drilling a total of 22 holes for 1990m, consisting of 12 holes for 1052m at Kat Gap and 10 holes for 938 metres at Lady Magdalene. 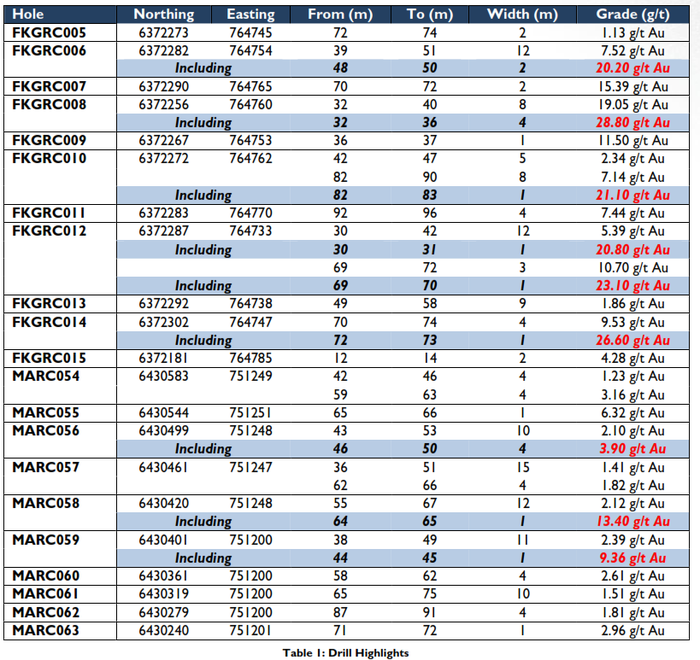 CLZ’s 100% owned Kat Gap deposit, is shaping up to become a prolific shallow high-grade gold deposit with significant upside potential remaining. It received excellent gold grades from 11 of the 12 holes drilled tested, while the only 140m of 3.5 kilometres of potential strike along this granite-greenstone contact has so far been tested. CLZ drilled 12 holes for 1052m, of which eleven holes returned gold mineralisation striking in a north-south direction. The drilling was conducted over approximately 140m of strike with mineralisation open in all directions. Results confirm the discovery of a significant new zone of gold mineralisation within the granite which was previously thought to be barren. The drilling also showed that high-grade gold mineralisation has effectively dammed up against a cross-cutting Proterozoic dyke. Holes FKGRC006 to FKGRC009 (inclusive), FKGRC010 and FKGRC011 were also drilled relatively close to the Proterozoic dyke in order to test Goodwin’s theory that gold is concentrated up against the dyke. Now that the prospect has returned promising high-grade results, CLZ will continue to track mineralisation against the dyke and follow it down plunge. The company has reason to believe that two high grade gold shoots exist either side of the Proterozoic dyke contact, while the strike and down-plunge extent of these shoots remains unknown. There is a further five kilometres of strike of prospective granite-greenstone contact along-strike from the Kat Gap zone within E74/467 that has seen little or no exploration. CLZ will embark on its planned follow up drill holes in the first week of August. 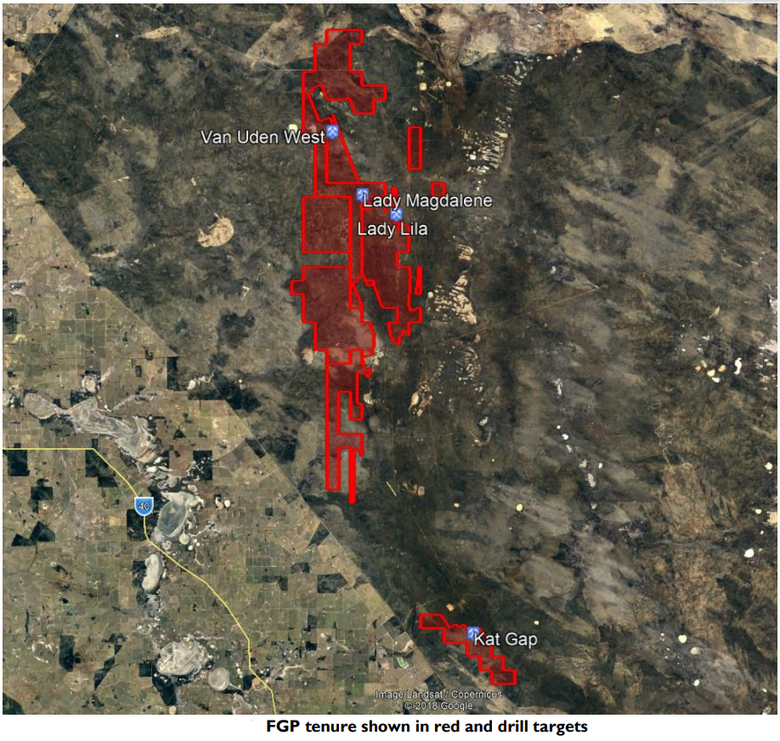 While gold mineralisation was the focus of drilling at Kat Gap, the Forrestania belt also hosts world-class LCT-Pegmatites. To explore the prospect’s lithium potential, CLZ has embarked on a lithium orientation sampling program of previous historical RC holes at Kat Gap. The company selected 12 holes containing pegmatites, six holes approximately 300m north and six holes approximately 300-500m south of the current gold sampling. 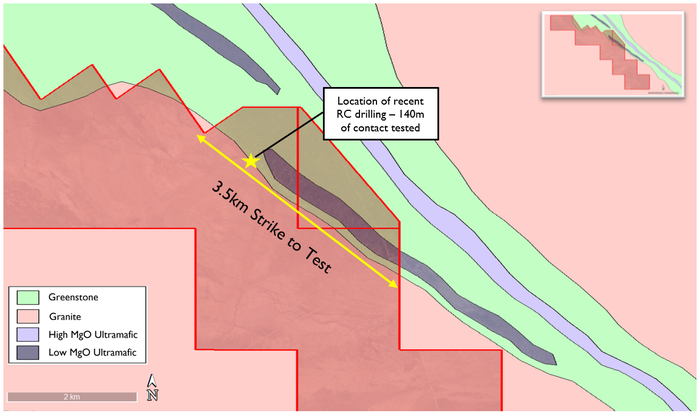 Two composite RC chip samples were collected from the 12 holes containing pegmatites, six holes approximately 300m north and six holes approximately 300-500m south of the current gold drilling. The northern composite sample (355150) returned no significant values but the composite sample (355149) collected from the southern 6 RC holes returned anomalous lithium results. Back in the early 2000s, a number of pegmatites were mapped during Dean Goodwin’s targeting and mapping project. CLZ now plans to continue field work to test these pegmatites and identify more potentially lithium-bearing pegmatites at Kat Gap. This will involve ongoing field mapping and soil geochemical sampling. 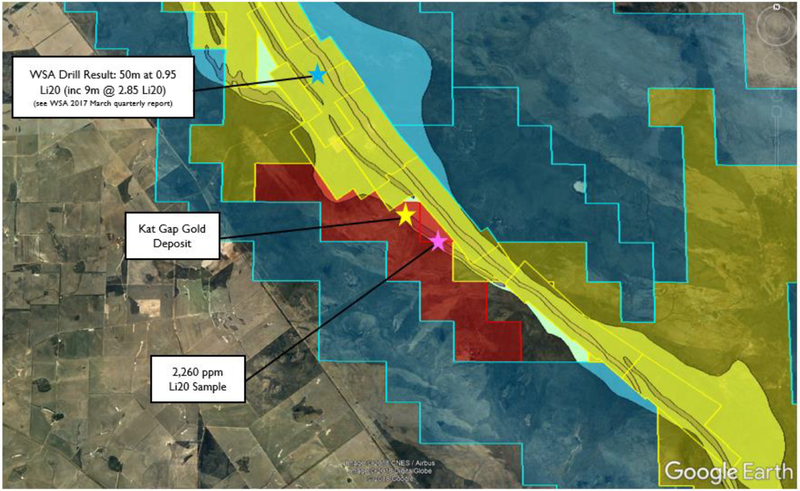 CLZ has confirmed it sees “exciting potential” for Li mineralisation at Kat Gap. This view is strengthened due to the fact that the Li anomaly is along strike from Western Area’s (ASX:WSA) recently announced lithium exploration results, namely 50m at 0.95% Li2O, including 9m at 2.85% Li2O as spodumene. Li sampling at Kat Gap (tenement shown in red) with surrounding tenements (Yellow: Western Areas tenements; Blue: Marindi Tenements). Impressive results are also in from drilling at Lady Magdalene, further confirming the existence of a number of high-grade, cross-cutting gold lodes previously missed due to the wide spaced drilling. This latest drilling confirms that significant gold-bearing quartz veins exist between the existing drill lines. As is the case with Lady Ada’s high-grade sapphire shear zone, these veins are low angle reverse thrust faults that dip gently to the south. This drilling confirms that the current large, modestly graded Lady Magdalene deposit hosts high grade cross cutting zones of gold mineralisation which are analogous to the high-grade Lady Ada mine. Once incorporated into the Resource model and mine plan, the economics of the project will dramatically improve. On top of the follow up drilling planned for Kat Gap, CLZ plans to commence further drilling at Lady Magdalene in early August. CLZ intends to track the quartz veins from east to west and will also drill south of the existing lines to determine how many additional lodes are located within the Lady Magdalene Resource footprint. 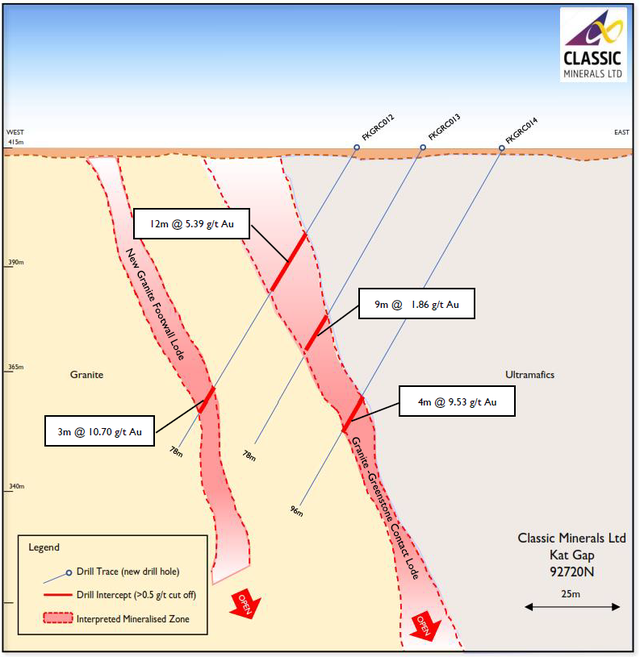 Classic hopes to extend the mineralisation all the way south to the high grade Lady Ada mine. 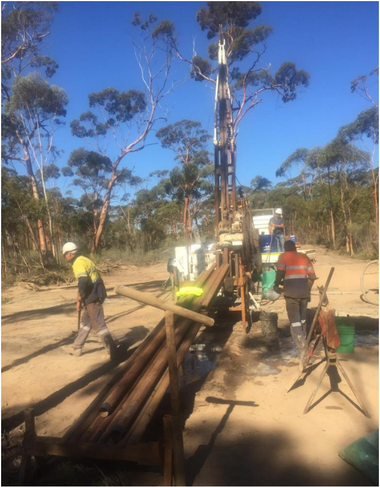 In addition to further drilling at Kat Gap and Lady Magdalene, the follow up program will also include the drilling at Lady Lila and Van Uden West, so there are plenty of potentially excellent results to look forward to within the next few weeks. To assist in funding the drilling campaign, along with other exploration and operating expenses, CLZ undertook a capital raising earlier this year. The company raised $1 million (before costs) during the first stage of the two tranche placement, which saw significant demand from new shareholders. An announcement is still to come regarding Tranche 2. In an interesting development, CLZ is now exploring the potential link between gold mineralisation at the Forrestania Project and the size of the trees on the land. The decision came after it became apparent to CLZ while undertaking field work the project, that there seems to be a relationship between tree-size and mineralisation. After building up a considerable amount of data and knowledge over the past 12+ months that suggests there’s a correlation between tree size and gold mineralisation at Forrestania, the company last week entered a Research Agreement with CSIRO. The partnership with Australia’s preeminent scientific/innovation leader is targeting the discovery of new high-grade gold deposits and will help better understand the geology and controls on mineralisation at Forrestania. A big plus for CLZ is that CSIRO and Innovation Connections will fund the majority of the research project. Production of a distribution map in tree sizes by image analysis. Hylogging and additional sampling of selected holes. Extensive rockchip, regolith sampling throughout the project. Determination of the spatial relationships between the tree sizes, the landscape and the mineralised areas through statistical data analysis. Having CSIRO undertake this research project alongside CLZ will allow the junior explorer to share and validate its hypothesis and research efforts that it has been working on for more than a year. What this means, if a link is established, is that CLZ could rapidly generate new targets without having to undertake ground-disturbing exploration. This out of the box thinking could be just what is needed when more ‘typical’ exploration techniques are no longer uncovering major deposits. Ideally, the research program with CSIRO will enable CLZ to better understand the local geology...which it hopes may ultimately carry over to the bottom line for shareholders. While this program is certainly unique, CSIRO has previously investigated another way in which trees have signed gold mineralisation. 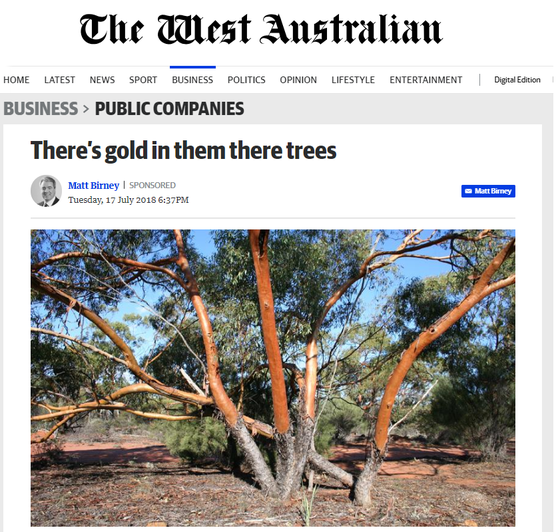 Back in 2013, CSIRO discovered that eucalyptus trees in WA’s Kalgoorlie region were drawing up gold particles from the earth via their root system and depositing it in their leaves and branches. While the gold identifies was microscopic, the trees could indicate gold ore deposits buried up to tens of metres underground and under sediments that are up to 60 million years old. However, if this purported link of CLZ’s between mineralisation and tree size is substantiated, it will be much more visually apparent than analysing the composition of gum leaves – in fact, it could provide a golden opportunity for exploration. That all provides potential future upside, adding to the concrete assay results now in from across the project’s various prospects. Optimism also stems from CEO Dean Goodwin’s statement confirming he is “quite confident that new, high-priority gold targets will come to light elsewhere within the project area”. There’s still follow up drilling planned at Kat Gap, Lady Magdalene, as well as drilling at Lady Lila and Van Uden West in early August — which means plenty of news to look forward to in the next few weeks.